The Fifth Annual Empower Event for Middle Schoolers in Brown County continued at Lambeau on Thursday. 140 boys, selected by their schools, participated in the event with "self-care" and "self-love" motivational speakers. Speaker Orlando Bowen spoke about being a difference-maker and students there say they were inspired. “There is nothing better than this,” said Kyler Kane from Edison Middle School. “This will tell you what you need to know for later in your life.” The young men and women were chosen by their schools to take part. 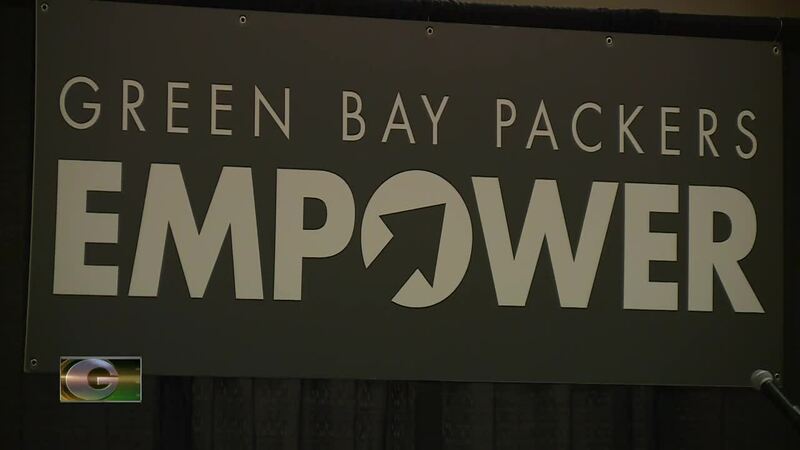 GREEN BAY, Wis. — The 5th Annual Empower Event for middle school students in Brown County continued at Lambeau on Thursday. 140 boys, selected by their schools, participated in the event with "self-care" and "self-love" motivational speakers. Speaker Orlando Bowen spoke about being a difference-maker and students there say they were inspired. The young men and women were chosen by their schools to take part.